For years, organizations have struggled to make sense out of their data. IT projects designed to provide employees with dashboards, KPIs, and business-intelligence tools often take a year or more to reach the finish line...if they get there at all. This has always been a problem. Today, though, it's downright unacceptable. The world changes faster than ever. Speed has never been more important. By adhering to antiquated methods, firms lose the ability to see nascent trends—and act upon them until it's too late. But what if the process of turning raw data into meaningful insights didn't have to be so painful, time-consuming, and frustrating? What if there were a better way to do analytics? 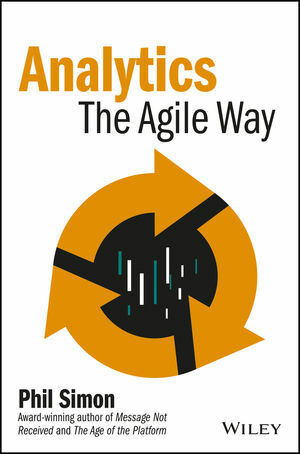 Analytics: The Agile Way is the eighth book from award-winning author and Arizona State University professor Phil Simon. Analytics: The Agile Way demonstrates how progressive organizations such as Google, Nextdoor, and others approach analytics in a fundamentally different way. They are applying the same Agile techniques that software developers have employed for years. They have replaced large batches in favor of smaller ones...and their results will astonish you. Through a series of case studies and examples, Analytics: The Agile Way demonstrates the benefits of this new analytics mind-set: superior access to information, quicker insights, and the ability to spot trends far ahead of your competitors. PHIL SIMON is a frequent keynote speaker and recognized technology authority. He is the award-winning author of eight management books. He consults organizations on analytics, communications, strategy, data, and technology. His contributions have been featured in the Harvard Business Review, the New York Times, and on Fox News, and many other sites. He teaches analytics, system design, and business intelligence at Arizona State University's W. P. Carey School of Business.